Motorists in Richmond California quite often find themselves facing car trouble. The scorching heat of summer causes drivers a whole lot of heartache due to mechanical failures and other car trouble. In order to extend a helping hand to motorists experiencing such ordeals, Cars Towing offers emergency and expert auto towing services in Richmond California. In any case of an emergency, we are here for you 24/7. Reliable and Professional Team at Your Service! We truly care about our customers and we are always here for them: we appreciate the fact that your time is extremely precious and that getting stuck on the shoulder of a deserted road is less than pleasant. That is why we always arrive on site within minutes. This means you will very soon get back on track. We serve all car brands, types, and models: for us, it does not matter whether you drive a 10-year-old Buick or a brand new Porsche. We are fully competent and experienced in providing expert treatment to all car makes, brands, and types. We serve motorcycles and trucks: your Harley is giving you a hard time? No problem! Our team of experts will take good care of it. We are completely licensed: we meet every possible requirement of a towing service and roadside assistance service provider. We are reliable and fast: we get the job done. Fast. 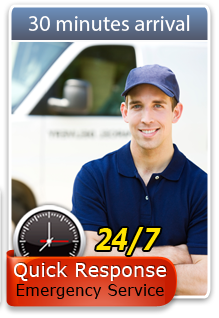 We are available 24/7/365: whenever you need us – we are right here for you.